FC3:41 AM 1 sweets for free! Everyone in the US is now enjoying Pokemon Bank that was just released today, February 6, 2014. Pokemon fans who are now trying their way around the Pokemon Bank and Pokemon Transfer seem to have this common question, "how to empty transport box pokemon bank". Simple, after transferring your Pokemon on the Pokemon Transporter from Black/White or Black 2/White 2, exit the application and go to Pokemon Bank. Then move your curser up and it showing the box on the left and you will see the Transport Box. Select all Pokemon in the box by using the green cursor (click select until cursor turns green). Then, move this to desires box. 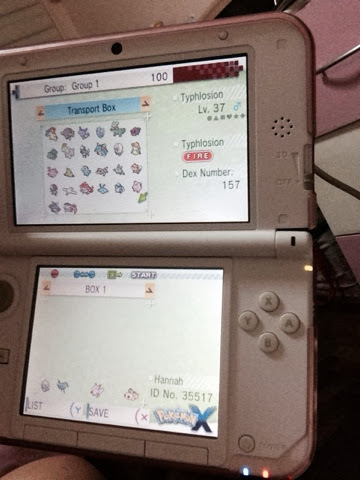 In doing this, you can transfer more Pokemon from Black/White and Black 2/White2 to the transporter box! Notice, you can only use one box (Box 1) in the Pokemon Transporter. check out my cool showcase!